The Dutch youngster is all set for an ISL return with FC Goa after having left Kerala Blasters days Ago. Indian Super League (ISL) outfit FC Goa is all set to secure the services of Dutch youngster, Mark Sifneos until the end of the season, sources close to the club have told Khel Now. The inclusion of Sifneos, who was Kerala Blasters' joint top-scorer this season, is hoped will help FC Goa keep the momentum going. 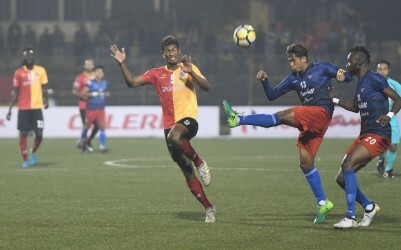 The Dutchman is likely to be a straight replacement for Gaurs frontman Adrian Colunga who has had an indifferent season and whose own future at the club remains uncertain. Khel Now had earlier reported that Sifneos asked to leave Blasters and was unhappy with the club's sacking of former manager Rene Meulensteen in addition to being frustrated at the lack of playing time. Confirming his departure the southern outfit said in a statement,"Kerala Blasters and Mark Sifneos have mutually agreed to part ways. We are grateful for all his contributions to the club. The club would also like to wish him well for the future." Meanwhile, Colunga has had no significant performances for Sergio Lobera's side. The 33-year-old attacker has played just 67 minutes for Goa and has scored one goal. 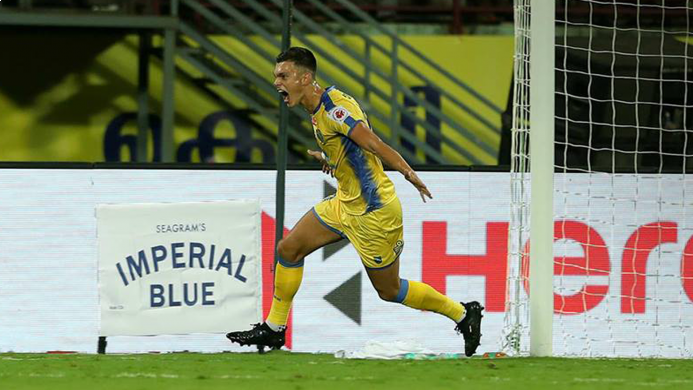 It is also reliably understood that FC Goa were in talks with several players, but switched their interest to Sifneos when Kerala Blasters shockingly released him. Both parties have verbally came to an agreement, and it's all about getting the player's signature now. Elsewhere, Blasters have confirmed the signing of former Iceland International, Guðjón Baldvinsson as a replacement for Sifneos. Sifneos joined Kerala Blasters from RKC Waalwijk, who were playing in the Dutch Eerste Divisie, second-tier league in the Netherlands. It was Meulensteeen who brought Sifneos into the team and provided him with the time to establish himself as an integral part of the team. Sifneos featured 11 times for Kerala Blasters this season and was the prime option for Meulensteen on the attacking front. He scored Kerala's first goal of the campaign and had a significant impact on their gameplay. 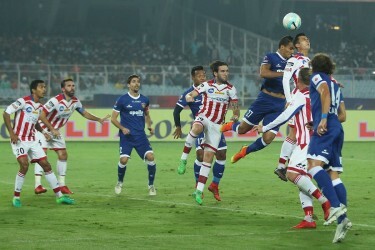 However, since the appointment of David James, Iain Hume was preferred over Sifneos, with the latter scoring a hat-trick in Blasters' thrashing of Delhi Dynamos. The lanky attacker will be a creative inclusion into the squad. With Sifneos joining the lethal duo of Ferran Corominas, and Manuel Lanzarote, FC Goa's attack looks irresistible for any defence in the ISL. It is expected that the player would play on Sunday, when the Gaurs take Mumbai City.